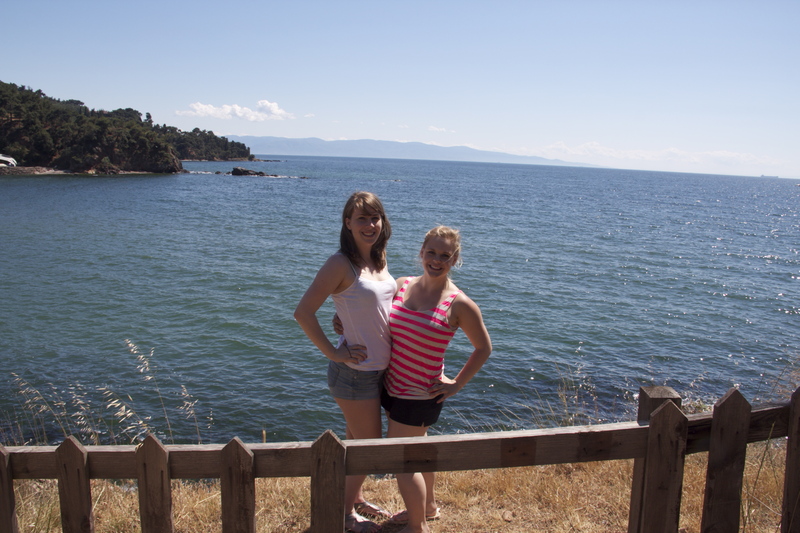 As some of you may now know, my friend Cheyenne and I have been traveling around Turkey for the last week or so. Going into it, however, we didn’t quite know what to expect; websites and blogs gave us travel advice, some of which was helpful, other parts of which were somewhat less than helpful. 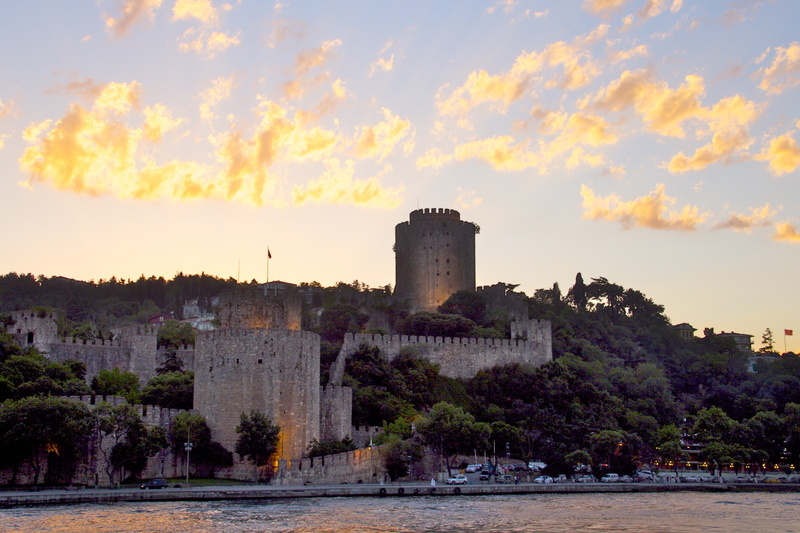 As soon as we got into Istanbul it was overwhelming, but looking back on it now, I can say that the first few hours in the city completely set the tone for what our experience was going to be like. We flew into the Sahiba Goken airport, which is the unfavored sibling-airport of Ataturk airport. 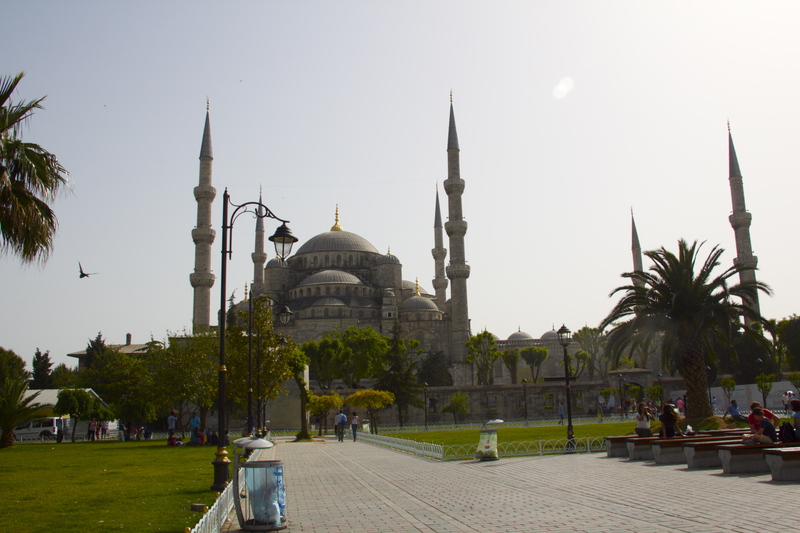 We had some fairly complicated directions to our hostel, which was in Sultanhamet near the Blue Mosque and Hagia Sophia. The directions indicated that we should take a bus from the airport to Taksim (not a great recommendation considering that we were arriving just as the RIOTS IN TAKSIM started), and attempted to get said bus at the designated point at the airport. A Turkish man who worked for the bus company and who spoke a confusing hybrid of German-English enthusiastically suggested an alternate route for us that involved taking a ferry to ENIKOU? 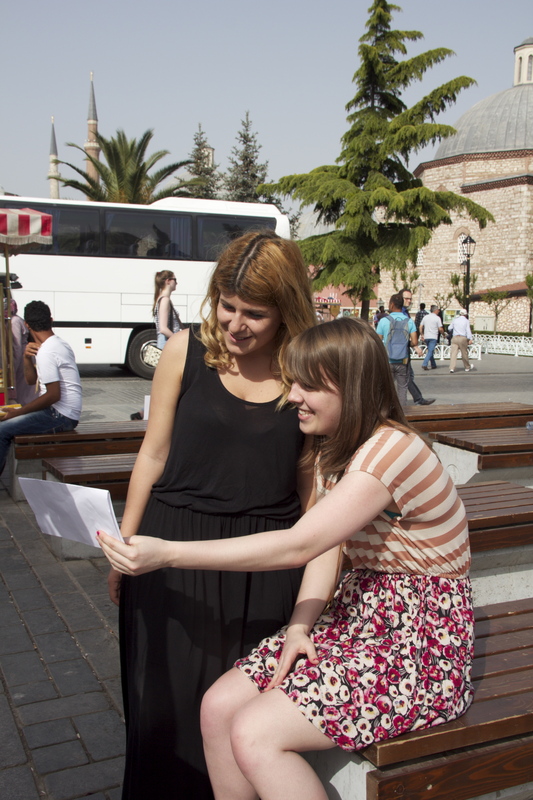 And then taking the tram from there to Sultanhamet, where we would then somehow walk to our hostel. We decided to take his advice and took the ferry over, but could not for the life of us figure out how the tram system worked, or even figure out where the tram stop at the port was. Ultimately we ended up taking a taxi, which still dropped us off relatively far away from our hostel, and through the semi-kindness of men trying to get us to eat at their restaurants, eventually found or way to Bahaus. 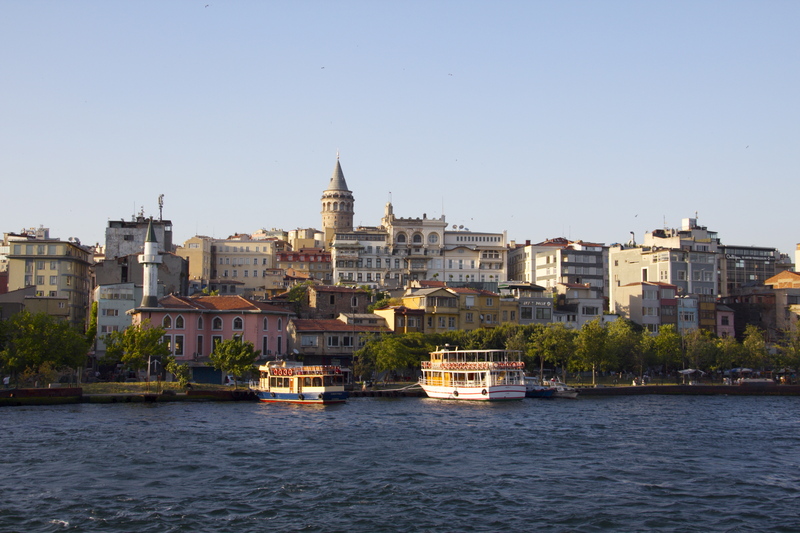 Tip: In Istanbul, the tram system works more strictly than it does in other parts of the world. Stops are designated by large, semi-covered platforms, with turnstiles that require tokens or tram passes for entry. To get a token, look for the machines that should be fairly close to the tram stop, but are not always obvious. One token costs 3 TL, or €1.5. After settling in to our room at the hostel, we decided to wander around and try and get oriented. 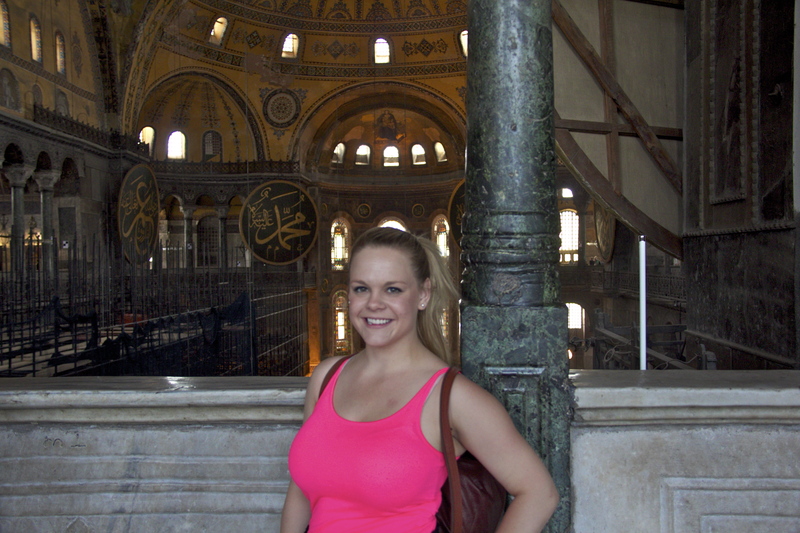 We were only a few minutes’ walk from Hagia Sophia and the Blue Mosque, so our first adventure was to there. Unfortunately for us, we had to walk up a long street full of restaurants, all of which came with their very own gaggle of heckling, young-to-middle-age men. The street was difficult to avoid, and attracting attention was inevitable; it didn’t matter what we wore, how fast we walked, how straight of a face we kept, we’d get questioned and heckled by men from every side. Some were good-natured and, once it became evident that we had no interest at eating at their restaurant, settled only for a ‘hello’ or a ‘good evening.’ Others were rude or persistent, and while they were often irritating, overall they were non-threatening. The only time we were not heavily heckled was when we were walking with guys or other men. 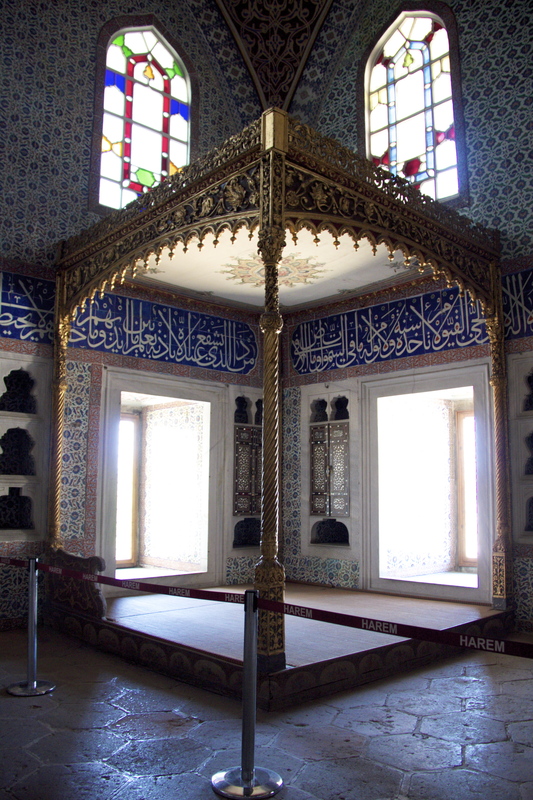 Eventually we made our way up to the mosques and spent some time just appreciating the domineering structures. We took the obligatory photos by the fountain in front of Hagia Sophia, then were stopped by a tour guide, Fehrat, who offered to take our photos. We were wary at first, but he was so good natured that we sat and spoke to him for a while, and he gave us advice about the city. The most useful advice he gave us was that we should try and visit the Prince’s Islands one day, which we did, and couldn’t have been more grateful. He was working for a boat company, however, and offered us a free evening cruise as his guests, after which he invited us to come smoke shisha with him. We politely deferred the offer and didn’t see him again. Several times over the course of the day we were stopped by groups of schoolgirls who needed to interview us for a class, and Cheyenne had the misfortune of being forced to do some impromptu (and depressing) karaoke with one of the girls while another one awkwardly videotaped the whole thing. Eventually we returned to the hostel and had some fairly bland dinner, chatted with a few people there, then promptly went to sleep. One the second day we decided to be incredibly ambitious (by our standards, anyway) and visited Hagia Sophia, the Basilica Cisterns, the Blue Mosque, and then top it off with a nighttime boat tour. We were unable to enter the Blue Mosque, however, as Fridays are the day when many Muslims go to the mosque to pray. Tip: If you want to see the main sites, like Hagia Sophia and the Blue Mosque, try and visit either early in the morning or late in the afternoon, when lines are least long. Hagia Sophia appears to be closed on Mondays, while the Blue Mosque is insufferably busy on Fridays. We stopped for lunch after Hagia Sophia at a café called Palatium just down the street from the main attractions. On our way to and from the Mosques (and tram stops, etc), we passed the restaurant many times, and decided to try it for two reasons: for one, the interior was attractive, with lounge-style seating and alternate patio seating, and also because the men working at the restaurant did not heckle us to try and get us to come inside. Instead, we were allowed to enter, peruse the menu, and decide where to sit without being bothered by anyone, which was already refreshing even on the first day. 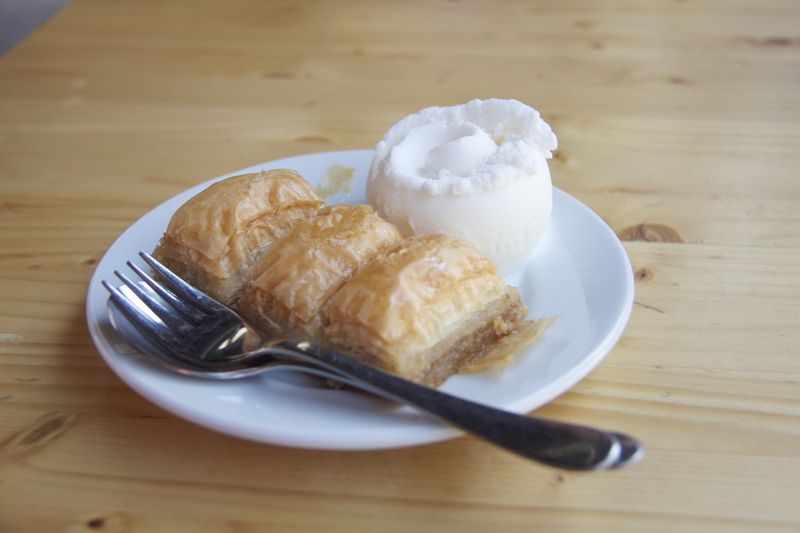 This restaurant became a favorite of ours, with tasty food (at competitive prices—especially the baklava with ice cream, which was some of the tastiest I had in Turkey! ), and we ate there many times. One day when I was feeling ill our waiter even came and brought me a pillow and a blanket, and happily encouraged me to relax, take a nap, and not feel rushed about eating. He did mock me a bit for ordering two different types of tea at once, but it was all very good natured. After lunch we toured around the Basilica Cistern, which was a refreshing break from the heat of the day. We returned to the hostel briefly, then left for our boat tour, which was about two hours long and covered the main parts of the city, several waterside night clubs, some residential districts, and some open-water time. The whole cruise lasted about two hours, which was more than enough time to see the sites before we got antsy to come home. For diner we went to a restaurant that I’d seen recommended on a blog post that my mother had sent me, and we were absolutely not disappointed! 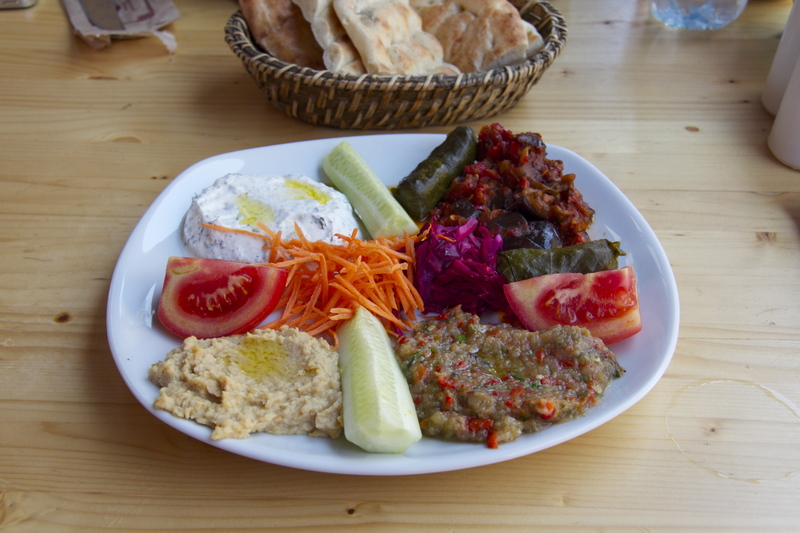 The restaurant is called Med Cezir, and it is absolutely great. 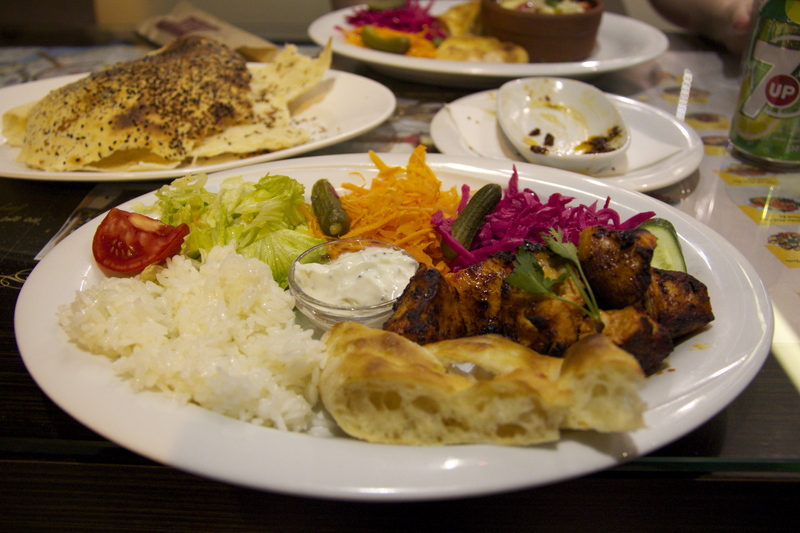 The prices are on-par with others in the area, but the food is superior to almost all restaurants on the main strip of Sultanhamet and the staff were amazing. I wrote them a review on TRIPADVISOR, and when the owner saw it, he stopped and thanked me personally for the review, which is always appreciated! I ordered a chicken kebab and Cheyenne ordered a shrimp casserole, which she loved. The meal also came with free bread and a tasty, spicy, tomato-y oil that was worth coming back for on its own. Highly recommended! Our third day was quite lazy, and we were feeling burnt out after our day the day before. Nevertheless we made it our mission to see Topekai Palace, which was interesting but crowded and a bit confusing. 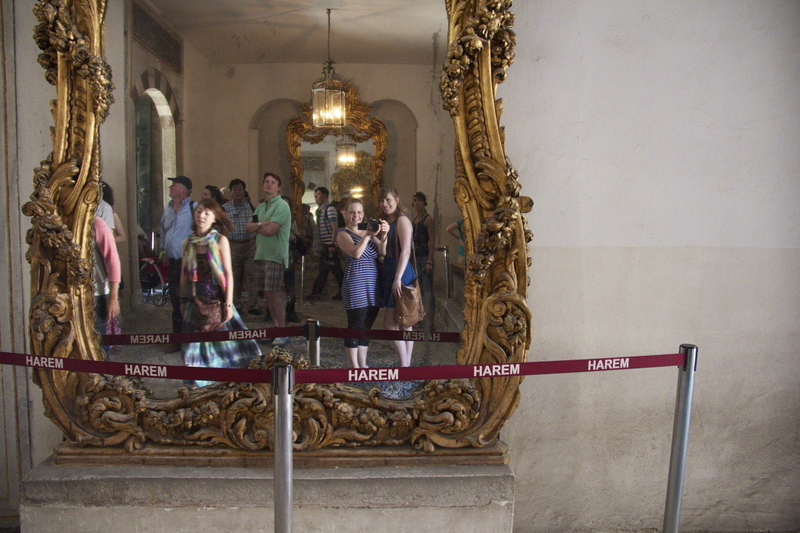 The most interesting part of the tour was seeing the harem, which we were fairly enthusiastic about, but the most interesting part of the day on the whole was definitely the people around the palace. 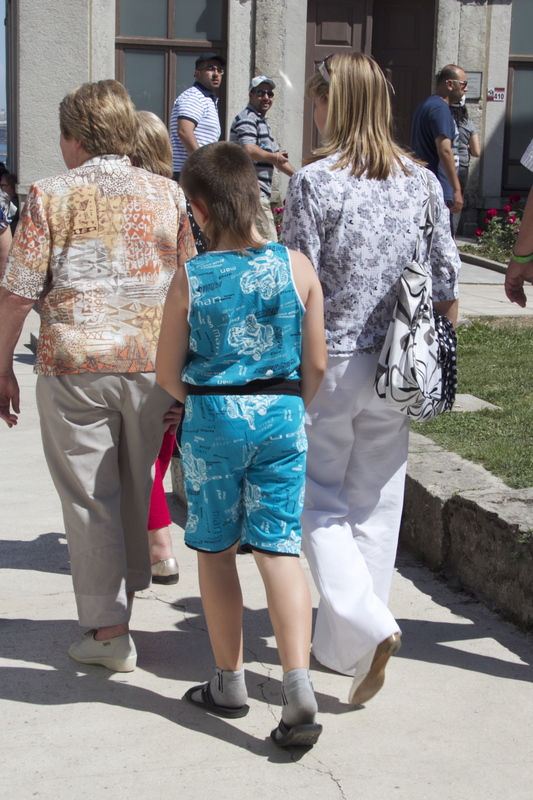 Not only did we see a man with a newspaper captain’s hat, but we also saw the lovely specimen pictured below: bright blue unitard-wearing, mullet-ed, socks-and-sandals kid. Talk about a fashion statement. 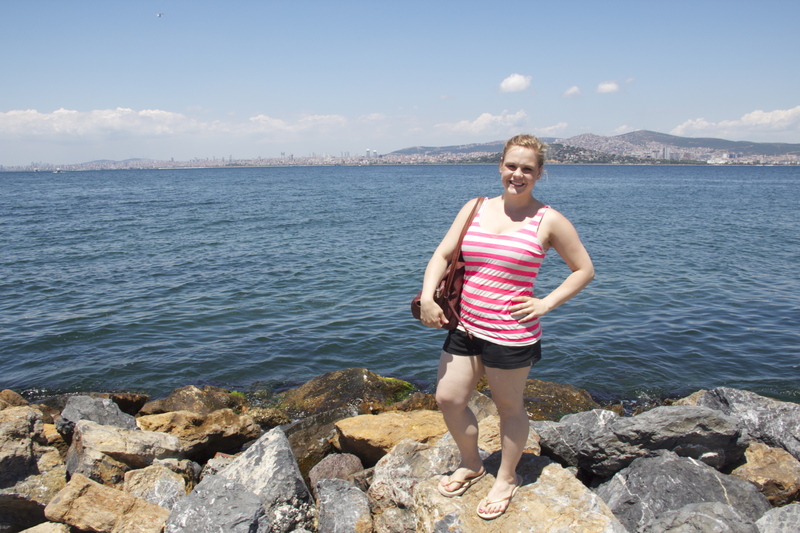 Probably my favorite day in the city proper of Istanbul. In the morning we went to a Hammam, which was surprisingly amazing. When we got there it was not particularly busy, and we did not have to wait. For €50 we got the complete package, which consisted of time in the steamy room, a washing with some fragrant soap, a massage, then some more washing and rinsing, a shampooing, and even a braid at the end (if your hairs long enough). 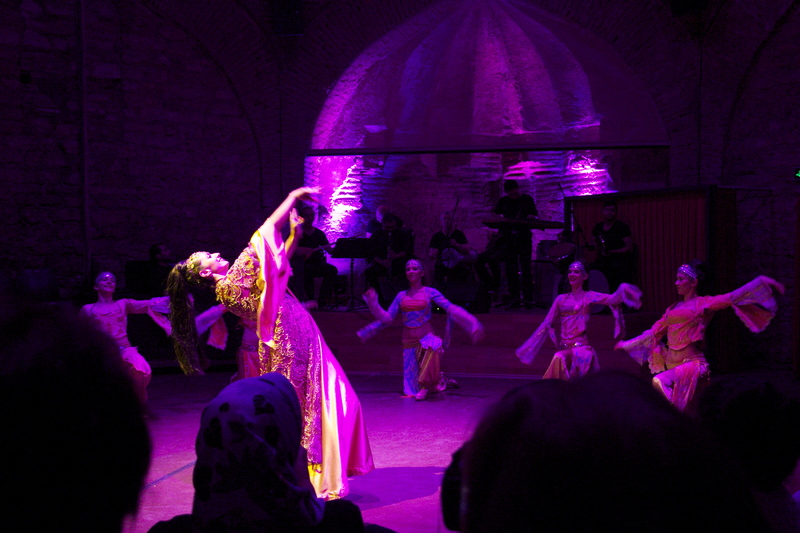 Going to the hammam was intensely surreal at first, and a bit uncomfortable; you’re in a room with many women in various stages of undress, but often naked, and for a while you’re all just sitting and trying not to stare at each other. When you get to the proper bathing portion, however, everything becomes much more comfortable. My bath matron was kind of like a big, Turkish grandmother that I’ve only met once or twice in my life and who didn’t really speak the same language as me. Either way, Cheyenne and I agreed that it was one of our favorite things we’d done on the trip, if not the most favorite. On the fifth day we decided to escape the city and follow the advice of Fehrat, the boat promoter that we’d met on the first day, and went to the Prince’s Islands. We had an idyllic day of bike riding and dining on the cheap, which I talk about more in my blog post here. Take a tram to Kabutas, which is the last stop on the line. From there get a ferry going to Buyukada, which run on the hour. (Tram: 3TL one way, ferry 5 tl one way). Ferry takes an hour and a half. So that pretty effectively sums up our travels in Istanbul. On the final day that we had there I had a massive, debilitating migraine, so we didn’t get to see the Spice Market or go into the Blue Mosque. All the same, we had a great time and had lots of fun exploring the city, even in the midst of the anti-government riots that were happening in Taksim.